Grassroot Soccer is pleased to announce the launch of its new website, highlighting the growth of the organization and its many partners. Our former website hadn’t kept up with the progress we’ve made in the last couple of years, and we’re excited to give GRS a new home online. 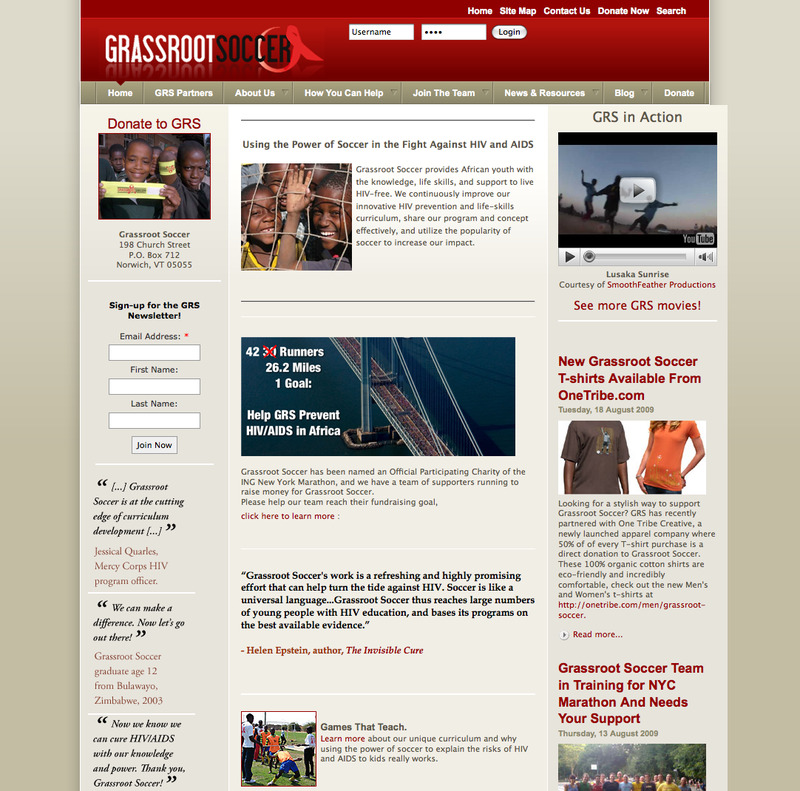 Please stay tuned for more updates to GrassrootSoccer.org, and feel free to contact us at website@grassrootsoccer.org.